Most boaters will never be involved in a boating accident. However, if you ever find yourself in this position it can be very stressful and confusing. 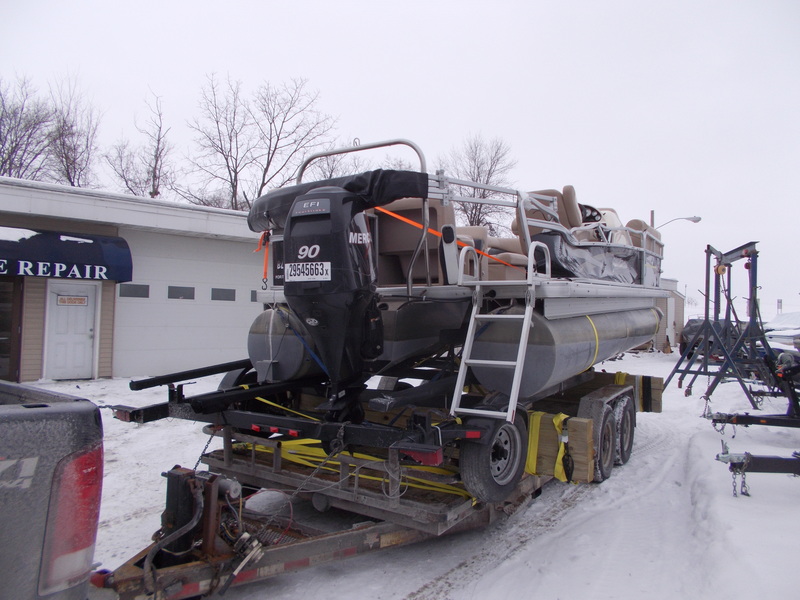 Where do you start if your Pontoon Boat has sustained Storm Damage, Vandalism or Collision Damage? It is important to have any repair work completed by an Insurance Approved Vendor that can provide you with Fast and Affordable Repair. If your prized boat has been damaged contact Anchor Marine Repair as soon as possible for an estimate on Pontoon Storm Damage Repair or driver at fault Accident Repair. Storms can be very damaging for both the interior and exterior of a Pontoon Boat. The damages sustained during a boating accident are just as destructive as storm damage. To limit your time away from enjoying the water, its smart to contact Anchor Marine Repair to start the repair process. We can arrange pick up and delivery service to make the process and quick and painless as possible. If your pontoon boat has been damaged and you have Boat Insurance then its imperative that you follow all necessary procedures to ensure total restoration of your boat will be covered by your insurance policy. As Insurance Approved Vendors, Anchor Marine can help you through the entire process. We have many years of experience in fixing and repairing Storm Damaged Pontoon Boats as well as boats Damaged in a Boating Accident. Anchor Marine Repair has many years of experience with Boat Insurance Claim Repair. Our representatives are happy to assist you with the entire process. We are an Insurance Approved Vendor with an impeccable reputation for Pontoon Storm Damage Repair and Driver at Fault Accident Repair. Contact us for fast and affordable repair work to get you back out on the water ASAP!